On March 27, four Widener English majors–all Blue Route staff members–and two faculty members traveled to Portland, Oregon to attend the annual Association of Writers and Writing Programs conference. Along with nearly 12,000 other writers, readers, editors, and publishers, the team enjoyed three amazing days of panels, networking opportunities, enlightening readings and keynotes speeches, and of course, the pacific northwest! Read on for a few words from all four senior English majors about their time in Portland! Carlie and I signed up for an hour of manning the FUSE table in the book fair section of the conference. While we were setting up, Carlie nudged me and said, “Kelly, doesn’t that dog on that poster over there look just like the one you wrote about in Historical Fiction class?” Low and behold, I look over and the juxtaposing booth is sporting a poster of Laika, the space dog from the Sputnik II mission that I had just written about the week before coming to AWP. Naturally, I had to go over and investigate. I asked the woman working the booth why Laika was on the poster and she informed me that their book press had published an author who just wrote a biography on Laika. Not only were they selling copies, but he would be there signing them in an hour! I purchased the book and stood waiting in line, mustering up the courage to ask the author, Kurt Caswell, if I could send him my short piece to read. I am a pretty confident and outgoing person but, for some reason, the minute I was next in line I almost chickened out. I told him about the poster and why I had to buy his book and meet him to tell him that I had also just written about Laika. He handed my book back to me after a really great conversation about Laika and I knew my window to ask him to read my story had closed. Then, to my complete shock, he asked me to send him my story to read and even gave me his personal email to send it to. I was elated. Later that night, Rohan met a panelist named Shayla Lawson who wrote a poetry chapbook mixed with Frank Ocean songs and got us invited to a “battle of the bands” where she performed her work with her band. One of the opening acts, however, incorporated the song “Space Oddity” by David Bowie into his piece. The minute I heard the lyrics my head snapped over to look at Carlie who was already staring at me, mouth agape. “Space Oddity” is also an integral part of my short story about Laika. In a three-page story there is not much room and for two major aspects to crop up so blatantly at AWP had to be a sign for me to continue working with that piece. AWP is an invaluable resource for English and creative writing majors, it is a hub for creative minds and a space where we can feel important and bond with other professionals. The first panel I attended at AWP was one of my favorites. It was titled “Translators Are the Unacknowledged Ambassadors of the World,” which is a play on the famous Percy Bysshe Shelley quote, “women are the unacknowledged poets of the world.” I speak two languages besides English, so languages and translation is something that always interested me. The final panelist opened my eyes to the Iranian culture and the struggles associated with translating Iranian literature to English. Unlike the first two panelists, she explained that Iran, as a nation, hinders its own artist by utilizing strict censorship and even executing writers. As a whole, this panel made me understand the crucial role translators have in the dissemination of literature. It helped me understand that translating is also a form of creative writing; a translator has to not only present the same meaning of the original work, but also closely match the same style. In a sense, translators are poets and makers of things, too; they give readers access to things they could have never reached, due to a language barrier. AWP features a lot of intellectually stimulating and educational panels, which are great, but they can also cause a lot of mental fatigue. By attending poetry readings and readings of other kinds, it really helps your mind slow down and recharge, at least that was my experience. At “A Wild Girls Poetry Reading,” I was particularly moved by one poet, who wrote a collection of poetry where she was attempting to deal with the grief associated with her younger brother’s suicide. The stories she told the audience and the poetry she read were so raw and they made me empathize with her so much. I attended this reading on the first day and I could not stop thinking about her work. Her words impacted me the entire trip to the point that on the last day, I went and bought her book. I had to or I would never forgive myself. After I purchased it, I sat outside and read it from cover to cover, and her words continued to move me. I decided to go to Page Meets Stage, a reading that is a yearly tradition at AWP. This was the best decision I made throughout the time of the conference. The reading consisted of five poets reading and performing poems after one another, “popcorning” in order and choosing what to perform based on what was read before them. The panel was led by Taylor Mali, four-time poetry slam champion and arguably the most famous American spoken word poet, and consisted of other notable poets like Anis Mojgani, Mark Doty, and Shayla Lawson. For the whole hour I just sat there, mouth agape, at the incomparable stage presence and refined performing art they all shared with the room. When it was time for Shayla Lawson to read, she prefaced her poems in explaining they were all from a book of poems inspired by Frank Ocean, an R&B artist and one of my main artistic inspirations. When Shayla finished performing “Strawberry Swing” from her poetry book I Think I’m Ready to See Frank Ocean I struggled to retrieve my jaw from the floor and knew I had to speak to her after. Upon the panel’s conclusion I was able to do so. We talked about Frank and our common interests, and after we spoke, she invited me to come to a reading she was orchestrating in downtown Portland. Of course, I obliged and I ended up going after the last of the panels of the day. In the library room of the Heathman Hotel, I heard Shayla and 4 of her colleagues read marvelous poetry. All of them are part of an association of writers called the Affrilacians, about 2,000 southern writers strong (per Facebook). Two of them I met and spoke with, published poet and educator Mitchell L.H. Douglas and former Kentucky poet laureate and educator Frank X Walker. Both were incredibly down to earth men who gave me insight on getting published and furthering my education, and I thank them for that. To whoever made the decision to take me as one of the students to go on AWP this year: thank you. Thank you. What I owe you can never be repaid. This was a span of days I can’t see myself ever forgetting, a span of days I firmly believe will prove to be important as I further my writing career. One of the panels I attended was titled “8 Techniques Guaranteed to Take Your Script to the Next Level.” Using examples of films such as “Juno,” “Star Wars: A New Hope,” “Pulp Fiction,” and “Little Miss Sunshine” among others, this panel offered techniques relative to character, scene structure, descriptions, and dialogue. Though I do not write screenplays myself, I have always loved reading the screenplays to my favorite movies and television shows. It makes a very visual experience feel like reading a book. This panel demonstrated the ways in which some screenwriting techniques have the ability to transcend into fiction writing, because, even if I am not worrying about camera angles, it is still storytelling. Screenwriting can sound like a novel just as a novel can read like a screenplay. Something that stood out to me in particular had to do with a tip on character development: “we watch movies because we want to connect with our characters.” Is that not the same for fiction writers? Shouldn’t I also be focusing on want versus desire, asking emotional questions in scenes, considering symbolism and foreshadowing, making my language visual or finding imaginative ways to introduce my characters? Isn’t it good advice regardless of the medium to think about increasing tension and suspense by slowing down, using misdirection to reveal information, or revealing my characters through their actions? I chose to go to a variety panels on screenwriting and playwriting not because I want to try my hand at either one, but because I know that the techniques between them and fiction writing are interchangeable. I also know that films and television serve as my influence, the driving force that compels me to provide visual detail and intricate characters. I would not have been able to explore what that means to my writing or how related the two mediums are had I not been given this opportunity. My path may not have been the one most fiction writers would typically take, but I think that is what was so amazing about AWP at the end of the day. I was able to find what interested me and gained insight from an influencing medium all while taking my own unique path. This entry was posted in Uncategorized and tagged AWP, Books, Creative writing, Poetry, short stories, Undergraduate Writing, Widener University, Writing on April 19, 2019 by carlieelizabeth24. as he was one of the first individuals to promote Transcendentalism and very openly go against the grain of society’s norms. He wrote many essays throughout his years, detailing his thoughts on the importance of embracing nature and being self-reliant, and he is still considered one of the greatest scholars in history. This is not only due to his way with words, but also to his willingness to stand out and promote thoughts that were typically not accepted or popular during his time. In ​The American Scholar, Emerson states, “Meek young men grow up in libraries, believing it their duty to accept the views which Cicero, which Locke, which Bacon have given, forgetful that Cicero, Locke and Bacon were only young men in libraries when they wrote these books.” Putting the patriarchal language aside, this line tends to strike a chord with the reader– especially one interested in writing their own pieces– as it still very much applies to anyone who aspires to get their work published. As we discover new authors and ideas as well as look back on the classics, we tend to forget that they were once in our shoes, striving to get their thoughts down on the page and convey some sort of meaning to others. Although their legacies have grown to seem insurmountable, they were all once where we are. This is very important to realize today, especially for younger writers who feel as though they could never measure up to other well known figures, both past and current. on the words and experiments of others as our only resource for knowledge. Instead, we should supplement our lives with the work of others, but still rely only on ourselves and our abilities. If we focus too heavily on others’ efforts, we fail ourselves. This holds true in today’s society, as we study famous works such as Emerson’s to expand our minds and knowledge, but we do not accept them as the single truth of the world. Instead, we use them as inspiration and guidance as we continue moving forward and discovering. especially those in college who are surrounded by peers who have the same ambitions as they do. It is easy to get caught up in insecurities and to have doubts about your abilities, but the most important thing to remember is that we all have original thoughts and ideas, and we should use them as we see fit. Just as Emerson did with his works, we take risks by putting our thoughts out into the world, especially if they differ from what society would consider normal or proper, and having the courage to do so is something he would likely admire and encourage. This entry was posted in Uncategorized and tagged Books, Creative writing, essays, Literature, Ralph Waldo Emerson, Writing on March 15, 2019 by carlieelizabeth24. The 2019 Academy Awards are tonight on ABC (8 p.m. EST). Before the ceremony, check out which of this year’s Oscar-nominated films are actually based on best-selling books! 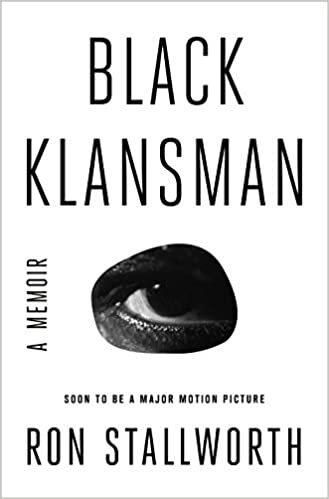 “When detective Ron Stallworth, the first black detective in the history of the Colorado Springs Police Department, comes across a classified ad in the local paper asking for all those interested in joining the Ku Klux Klan to contact a P.O. box, Detective Stallworth does his job and responds with interest, using his real name while posing as a white man. He figures he’ll receive a few brochures in the mail, maybe even a magazine, and learn more about a growing terrorist threat in his community. Ron answers the caller’s question that night with a yes, launching what is surely one of the most audacious, and incredible undercover investigations in history. Ron recruits his partner Chuck to play the “white” Ron Stallworth, while Stallworth himself conducts all subsequent phone conversations. During the months-long investigation, Stallworth sabotages cross burnings, exposes white supremacists in the military, and even befriends David Duke himself. “In this honest and stunning novel, now a major motion picture directed by Barry Jenkins, James Baldwin has given America a moving story of love in the face of injustice. “Before turning to her life of crime—running a one-woman forgery business out of a phone booth in a Greenwich Village bar and even dodging the FBI—Lee Israel had a legitimate career as an author of biographies. Her first book on Tallulah Bankhead was a New York Times bestseller, and her second, on the late journalist and reporter Dorothy Kilgallen, made a splash in the headlines. 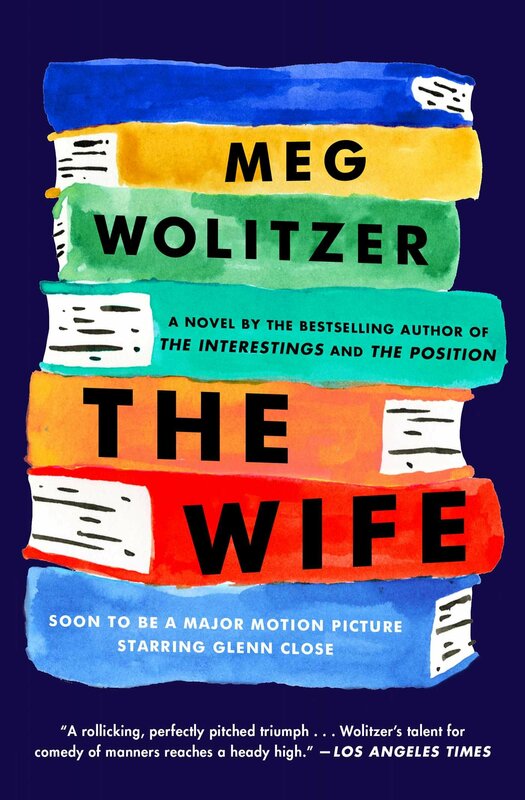 “The Wife is the story of the long and stormy marriage between a world-famous novelist, Joe Castleman, and his wife Joan, and the secret they’ve kept for decades. The novel opens just as Joe is about to receive a prestigious international award, The Helsinki Prize, to honor his career as one of America’s preeminent novelists. Joan, who has spent forty years subjugating her own literary talents to fan the flames of his career, finally decides to stop. 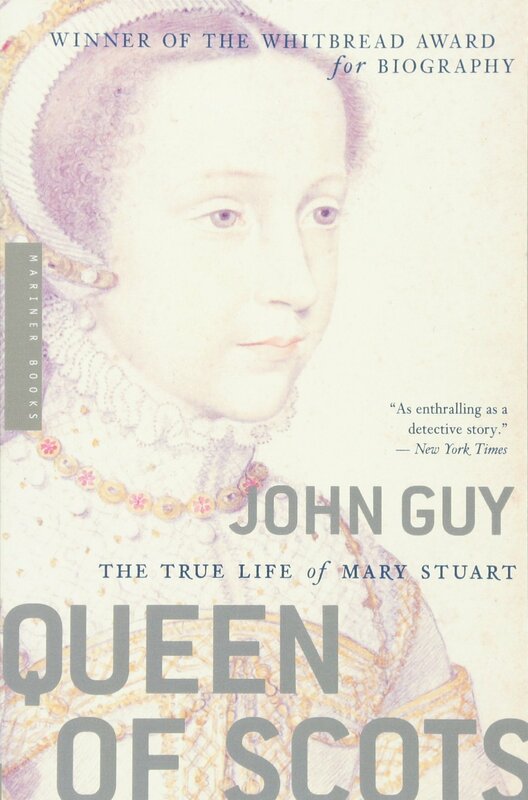 “In Mary Queen of Scots, John Guy creates an intimate and absorbing portrait of one of history’s most famous women, depicting her world and her place in the sweep of history with stunning immediacy. Bringing together all surviving documents and uncovering a trove of new sources for the first time, Guy dispels the popular image of Mary Stuart as a romantic leading lady—achieving her ends through feminine wiles—and establishes her as the intellectual and political equal of Elizabeth I. “When Apollo 11 touched down on the Moon’s surface in 1969, the first man on the Moon became a legend. In First Man, author James R. Hansen explores the life of Neil Armstrong. Based on over fifty hours of interviews with the intensely private Armstrong, who also gave Hansen exclusive access to private documents and family sources, this “magnificent panorama of the second half of the American twentieth century” (Publishers Weekly, starred review) is an unparalleled biography of an American icon. I n this “compelling and nuanced portrait” (Chicago Tribune) filled with revelations, Hansen vividly recreates Armstrong’s career in flying, from his seventy-eight combat missions as a naval aviator flying over North Korea to his formative trans-atmospheric flights in the rocket-powered X-15 to his piloting Gemini VIII to the first-ever docking in space. 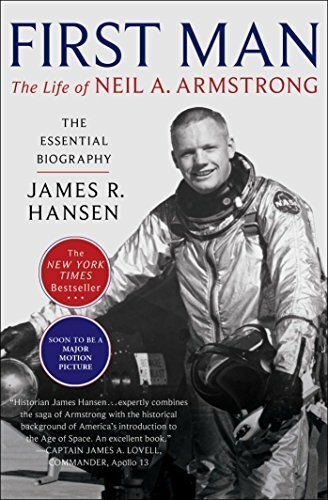 For a pilot who cared more about flying to the Moon than he did about walking on it, Hansen asserts, Armstrong’s storied vocation exacted a dear personal toll, paid in kind by his wife and children. For the near-fifty years since the Moon landing, rumors have swirled around Armstrong concerning his dreams of space travel, his religious beliefs, and his private life. 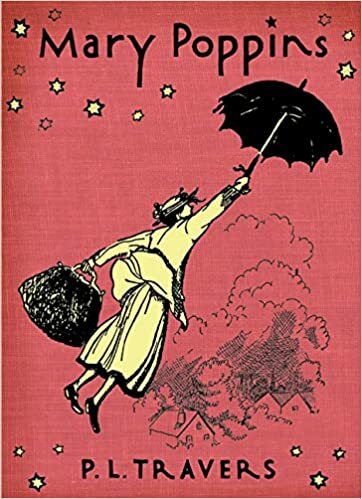 Series includes Mary Poppins, Mary Poppins Comes Back, Mary Poppins Opens the Door, Mary Poppins in the Park, Mary Poppins from A to Z, Mary Poppins in the Kitchen, Mary Poppins in Cherry Tree Lane, and Mary Poppins and the House Next Door. 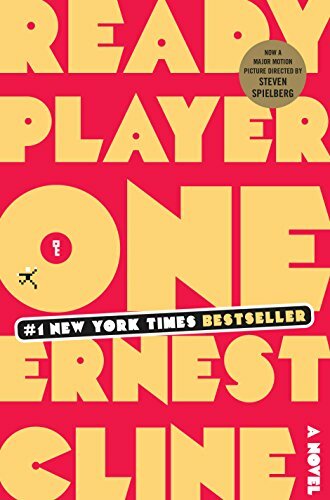 “At once wildly original and stuffed with irresistible nostalgia, READY PLAYER ONE is a spectacularly genre-busting, ambitious, and charming debut—part quest novel, part love story, and part virtual space opera set in a universe where spell-slinging mages battle giant Japanese robots, entire planets are inspired by Blade Runner, and flying DeLoreans achieve light speed. 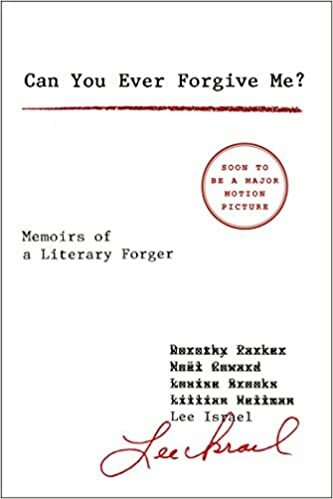 This entry was posted in Uncategorized and tagged Books, film, film adaptation, Literature, memoir, Oscars, screenplay, Writing on February 24, 2019 by carlieelizabeth24. I will never forget the opening line to my favorite book, The Lightning Thief by Rick Riordan. The story is about Percy Jackson, a twelve-year-old demigod boy fighting monsters and trying to outlive ominous prophecies. Riordan gives a sassy and witty voice to Percy in this opening line that keeps the reader hooked for the rest of the story. Riordan answers the question: What would happen if the Greek gods and goddess were alive in the 21st century? Of course they would be up to their usual mischief: having affairs with mortals, fighting with each other, and forcing young demigods to do their bidding. The Lightning Thief gives the reader a modern take on an ancient mythology. Riordan sprinkles breadcrumbs of information that lead readers to discover for themselves more about Greek mythology. Riordan even goes so far as to further educate children on Greek mythology through Percy Jackson’s Greek Heroes and Percy Jackson’s Greek Gods, both companion books narrated by Percy Jackson himself. I was so hooked by that opening line that, as a twenty-year-old junior in college, I still look forward to reading the newest Rick Riordan novel. I grew up reading his books, and at this point, I am too committed to the story and emotionally invested in the characters to stop. Though I will admit, I am a few books behind. Being a poor college student definitely has its disadvantages. I know when I pick up where I left off, I will not be disappointed with what I find. Look, I didn’t want to become obsessed with the writings of Rick Riordan, okay? That opening line just had me hooked. You can learn more about Rick Riordan here at his official site. The Lightning Thief is the first book in the five-book series, Percy Jackson and the Olympians, available on Amazon. This entry was posted in Uncategorized and tagged Books, Literature, mythology, Percy Jackson, Rick Riordan, Writing on February 8, 2019 by carlieelizabeth24. Poet Cynthia Dewi Oka visited Widener on Nov. 12 through 14 as a part of the English and Creative Writing Department’s Distinguished Writers Series. Oka, a three-time Pushcart Prize Nominee, published her debut collection of poetry with Dinah Press called Nomad of Salt and Hard Water in December 2012, celebrating journey and its relentless precision of language. A second edition with new and revised poems was published in April 2016 with Thread Makes Blanket Press. Much of her poetry has been published online and in print in such places as The American Poetry Review, Guernica Magazine, and Apogee Journal. In addition, Oka is a contributor for anthologies such as Women of Resistance: Poems for a New Feminism and Who Will Speak for America among others. She has also been awarded the Fifth Wednesday Journal Editor’s Prize in Poetry as well as the Leeway Foundation Transformation Award and is currently pursuing her master’s in fine arts as a Holden Fellow at Warren Wilson College. Oka’s latest collection is titled Salvage: Poems. Published in December 2017 with Northwestern University Press, Salvage interrogates what it means to reach for our humanity through the guise of nation , race, and gender. On campus, Oka was the feature speaker at the Honors Freshman Composition Forum. She also met with several students within the department for tutorials and visited numerous creative writing courses. For many students, Oka’s visit was transformational and eye-opening. Rohan Suriyage, a senior English and communications studies double major, found Oka’s presence and communication to be like that of a friend. Suriyage, along with several students in the Creative Writing department that received tutorials with Oka, believes he gained so much incredible insight from the visiting writer in such a short amount of time. Oka concluded her visit with a public reading during which she read new, never before published work surrounding Indonesian history and culture, specifically the mass killings that took place in the 1960s which the Indonesian government and citizens now act as if did not happen. She utilized documents once deemed to hold classified information on the killings to formulate a narrative, bringing to light the tragedy of what happened as well as the integration of Indonesian culture. After the reading, Oka took time to answer questions regarding politics and poetry, sign copies of her book, and speak to students. Domenic Gaeta, senior Anthropology major, found Oka’s new poetry on the tragic killings in Indonesia to be powerful, rich in detail, and attention grabbing. Oka also sat down with me for an interview with The Blue Route during her interview. The full conversation will be featured in our 21st issue set to be published in the next couple of weeks. For a preview of the interview, read below! I was reading some of the reviews on Salvage and some of the descriptions were that it is almost as if you have “one foot in time, the other in timelessness”, that the poems exhibit “mythical depth, civic outcry, and lyric inventiveness”, and that the collection is almost as if “entering a dream world”. This is what other people have said about your work. I’m curious as to how you view this collection and what your vision was in building it. Every project I’m working on is an effort to grow and transform. That is the superpower of creative writers. We get to remake ourselves. For me, Salvage is an enactment in life, it was happening parallel with life. What was happening on the page was an attempt to sort of recuperate, to integrate a lot of the worst things that I’ve seen or have been through. My first book, Nomad of Salt and Hard Water, was really an affirmation of strategies of survival. Part of the process of surviving difficult or traumatic things in our lives is that we end up having to bury a lot, so you can keep moving. Salvage was an effort to actually unearth those things and to bring them back into conversation, to reintegrate them, to repurpose them, to make them useful again. I think of the structure of the book like an onion where you’re looking at the most external forms of violence, war, displacement, gentrification. Then you move inwards to the family, the legacies, and the exchanges that happen in that space. The final layer is intimacy, relationships. That was the vision. It is a trajectory moving inward. I find that if I’m writing something from a darker place or something that is slightly out of my comfort zone, a little less like me, it takes me a bit to get into that headspace. Are there any poems in Salvage where you had to remove yourself and get into another headspace? How did you get there and then how do you shake it off? For me, it feels less like going somewhere else and more like being your whole, true self at a given period of time. I give space for all that I am, everything I shut out to arrive when I’m writing. I tend to be one of those people where, if I finish something, I’m like, “Okay, on to the next thing!” Salvage really taught me that I can’t just do that. A rest period is important. For example, when I finish working on a poem, I can’t necessarily switch out of it. There has to be a transition period where I’m slowly moving back into the pace of my daily life and I think it’s good to plan for that rather than feel cut-off. This is why I stress it is so important to have a writing practice, because then we learn what our tendencies are and what is optimal for us in how we take care of ourselves after we finish. It’s labor, so much labor when we write, and we need sustenance after it. If you’re an extrovert, your sustenance might be from surrounding yourself with people, whereas introverts need alone time. We have to build that into our writing practice so that we don’t become—at least for me—so that I don’t become a terrible person to the people that I love. This entry was posted in Uncategorized and tagged Advice, Books, Creative writing, cynthia dewi oka, Poetry, short stories, Storytelling, Undergraduate literary journal, Undergraduate Writing, Writing on November 26, 2018 by carlieelizabeth24. Susquehanna University hosted the sixth annual Forum for Undergraduate Student Editors (FUSE) conference at the beginning of November 2018. FUSE is a national organization that provides a network for undergraduate student editors and writers and their faculty advisers. The three-day conference brought together about 60 students from 13 universities for a series of writing and editing workshops and panels centered around the theme of representation and resistance. The conference aimed to display the importance of understanding resilience within the publishing and editing industry in “an age of political disparity, mass digitalization, and hyper-information.” Each workshop was dedicated to speaking out about challenges in our members’ publishing and editing endeavors and exploring solutions to rise above, whether it be through UCLA’s “Finding and Emphasizing Character Resilience,” Gettysburg College’s “Politics for the Apolitical Literary Magazine,” or SUNY Geneseo’s “Resilience in Writing: How to Keep Writing When You Feel Stuck”. Poet and activist Martín Espada return ed for the second year in a row, kicking off the conference with a captivating reading of his poems, which “explore the immigrant and working class experience.” He read passionate poems from his published works as well as moving poetry in response to today’s political climate. Espada also hosted a workshop on identity where he encouraged students to write and present their own poems on reclaiming identity, the literal meaning of their names, or the differences between their names and what they represent. Andrew Ciotola, managing editor and book review editor of West Branch, Bucknell University’s nationally distinguished literary journal, joined FUSE along with Jessica Hensen and Caitlin Friel for a panel and Q&A session regarding West Branch, the publishing industry for online and print publications, and the editorial profession. During the panel, Ciotola stated “literary magazines are a service for the writers” and assured books are as popular now as they have ever been and they need editors. The FUSE conference this year was a much needed reminder of the importance of having a community for undergraduate writers and editors. It was my first year attending and I was lucky enough to be afforded the opportunity of presenting on a panel with fellow Widener senior, Carlie Sisco. This experience was invaluable in what it taught me about public speaking and sharing my journey. The support we received from attendees during and after the presentation was a much needed pat on the back for us as we press on for bigger and better things for our campus literary journals. While the other panels and workshops were wonderful, my favorite part about the conference was the camaraderie between the students having just met from all over. At the student-led open mic, everyone wanted to share their journey with us and trusted us with it from up on stage. It’s important to feel like you are a part of something and, at FUSE, we did. Hearing Martín Espada read his work was a magical experience. I had the pleasure of sitting in the second row, right in front of the podium where he was reading. His voice was deep and passionate. If he were to record an audiobook of his poems, I would listen to it in a heartbeat. I felt a sense of inspiration at the poetry workshop he held the next morning. We were instructed to write a poem about our names in forty-five minutes. Everyone spread out to different corners of the room or even left the room to find a comfortable place to write. I took a few minutes to think about what I wanted to write, then started writing. I tried not to concern myself with whether or not it was “good”. I just wanted to get my thoughts down. After the forty-five minutes, we all regrouped back into the conference room. Some people read what they had written. It was amazing to hear what people were able to create in forty-five minutes. I will remember this experience every time I think I don’t have enough time to write. All I have to do is set a timer and start writing. I typically feel like I’m pretty comfortable reading in front of people, but it was something about that Friday morning at Susquehanna, reading a poem I wrote about myself in 30 minutes to a full room of people and Martín Espada sitting behind me that had me near shaking. Looking back, I think it was being a newcomer to the conference scene for things regarding the English major. As a whole, I was pleasantly satisfied with the conference and the experiences of other schools with their respective literary journals, seeing students like me construct panels and presentations to communicate their knowledge and research. By the end of the conference, I left with a more substantial appreciation and understanding of student writing, editing, and publishing. I even feel like my desired career path with research and education is more concrete as well. I’m still interested to see how other schools and their English and Creative Writing programs operate and, after my conference experience, I’m craving another opportunity to interact with those like me. Attending the 2018 FUSE conference felt very much like reuniting with old friends, but I think that is bound to happen when you surround yourself within a positive environment of talented, passionate, creative individuals. I had the opportunity to attend FUSE for the every first time in 2017 where I got to run a workshop with several of my peers on writing resistance monologues and experience the community I am so proud to be a part of. This time was no different. Fellow editor and senior, Kelly Bachich, Professor James Esch, and I had the chande to present the topic of institutional support at our own panel, creating an open discussion bout challenges, trials, and ways to persevere as well-respected literary journals within our colleges and universities. Each panel at the conference did just that: start a dialogue between like-minded individuals, faculty members, advisors, and students alike. I think that is the most important and valuable part of FUSE. This is a place where creators can freely generate, share, and discuss new ideas, where you can be vulnerable with complete strangers and only feel the upmost support. You leave a conference like this with prompts, tools, ideas, suggestions, sometimes new conent, perhaps a new friend, and a renewed sense of love and hop for the writing world. This entry was posted in Uncategorized and tagged College, Creative writing, FUSE, FUSE 2018, Liberal Arts, Poetry, susquehanna university, undergraduate editors, Undergraduate literary journal, Undergraduate Writing on November 13, 2018 by carlieelizabeth24.